From the bathroom to the bedroom, living room and kitchen too - I always have candles burning. I absolutely love trying out new (to me brands), and of course I have some trusty favorites – like Bath & Body Works Vanilla Cupcake. One thing I am passionate about is supporting Michigan companies, and recently tried out a couple of candles from the Kalamazoo CandleCompany. These candles are made with soy wax, paper wicks and are dye-free – love that they’re natural! They offer a clean burn and come in two convenient sizes the 6.5 ounce tin with a minimum burn time of 35 hours, and the candle jar which is 10 ounces and has a minimum burn time of 60 hours. I tried out I’ve Got a Gal and Smitten. I've Got a Gal smells just like Victoria’s Secret Love Spell, so I’m absolutely obsessed with it, and it’s become my new favorite candle to burn in my bedroom. Smitten mixes spicy vanilla, sweet florals and bright citrus tones to give you a clean and crisp scent that makes you think of summer in the middle of a Michigan gray winter. There candles are conveniently sold on their website, and I highly recommend (and so does Jack he LOVES I've Got A Gal) checking them out if you’re looking to add a new candle to your bedroom or coffee table. I have this rule when I travel that I will not eat at any franchise restaurants, and will only try out local places. This has resulted in a lot of amazing experiences. 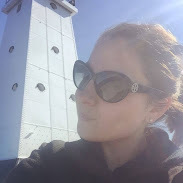 I realized that I should be doing this at home, because Michigan is filled with plenty of unique restaurants and experiences – especially metro Detroit. 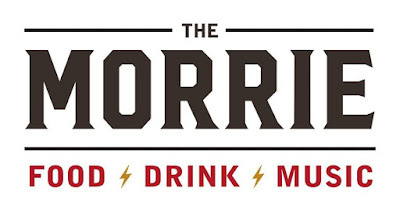 I recently had the opportunity to give The Morrie in downtown Royal Oak a try. All about music, combined with a little bit of hipster. The menu’s come in a vinyl cover, which is super neat and makes a fun presentation. There is even a wall covered in a mix of vinyl’s and covers. All in all it was a super chill and fun atmosphere. I absolutely love cauliflower and this kicked up version was so good, I could of devoured the whole appetizer on my own. Appetizer: Brisket Mac – smoked cheddar, manchengo, sweet BBQ, crispy onion, smoked brisket. This appetizer combined two of my favorite things: macaroni and cheese + BBQ, and let me tell you it did not disappoint at all. Again, I probably could of just ate this appetizer all on my own. I am not a huge Italian food fan, so this wasn’t a winner in my book – probably because not a fan of meatballs and spaghetti to begin with. Main Course: I tried the Chick Norris, which comes with a pickle (so good!) and I added sweet potato tots (high recommend). The sandwich consisted of grilled chicken, arugula, tomato, avocado spread, basil mayo, swiss on sour dough. Something unique to note is that The Morrie makes all their own sauces and breads which is super unique. Dessert: My favorite part of any meal is dessert, and let me tell you The Morrie’s dessert menu does NOT disappoint. Everything is homemade including the ice cream and macaron that comes on top of the Butterscotch Créme Brulee. I decided to try the Ice Cream Sandwich, which has salted caramel ice cream (to die for) sandwiched between Heath cookies. It’s HUGE and is definitely something you will want to share with someone. On a side note… I WILL be going back for the Banana Split which looked AMAZING! It is on the pricer side, so if you’re looking for a cheap place to eat The Morrie definitely is not it. However, if you’re looking for a fun and delicious date night I highly recommend this place. 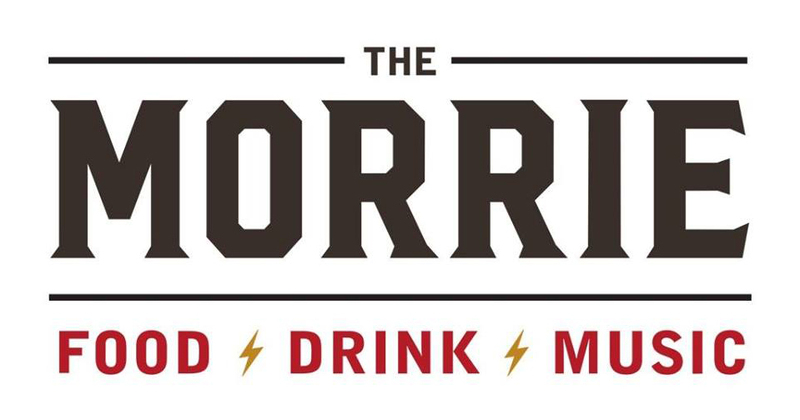 If you live in Michigan enter to win a $50 gift card to The Morrie! One of my favorite childhood memories I have is sitting in the kitchen with my brother while my mum cooked up dozens upon dozens of egg rolls. She stopped the tradition years ago when we all started doing our own thing. Instead of making egg rolls for New Years (as my mum traditionally did) I decided to cook up a batch in honor of the Chinese New Year, January 28. 2017 is the year of the Rooster, and people born during a Rooster year are said to be observant. What’s really unique about the Chinese Zodiac signs to me personally is that my mum, her mom and I are all the year of the Tiger. What’s your Chinese Zodiac sign? 1. Stir-fry pork or chicken in a wok or 10-inch skillet until brown. 2. Remove meat from wok or skillet. 3. Stir-fry cabbage, bamboo shoots, mushrooms and onions. 4. Mix soy sauce, cornstarch, salt and sugar. 5. Pour soy sauce mixture over vegetable mixture. 6. Stir-fry for about 1 minute, and allow to cool. 7. Mix meat with vegetables. 8. Keep egg rolls skins covered with a damp towel to prevent drying. 9. Place ¼ cup of filling mixture in the center of each egg roll skin. 10. Fold one corner of egg roll skin over filling. 11. Overlap the two opposite corners. 12. Moisten fourth corner with water, fold over to make into a roll. 13. Heat oil (1.5 to 1.75 inches) to 360 degrees Fahrenheit. 14. Fry three to five egg rolls at a time until golden brown, turning once (about 3 minutes). 15. Drain on paper towels. Heat ¼ cup grape or plum jelly and ¼ cup chili sauce in a small saucepan, stirring constantly until jelly is melted. Detroit has added big bold colors this winter with the addition of LuminoCITY now through February 16. 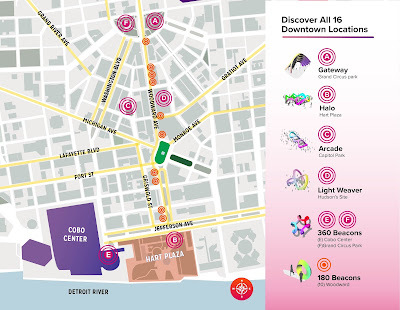 LuminoCITY is a fun and interactive art installation in downtown Detroit that was designed to bring together three characteristics of Detroit: art, design and technology. 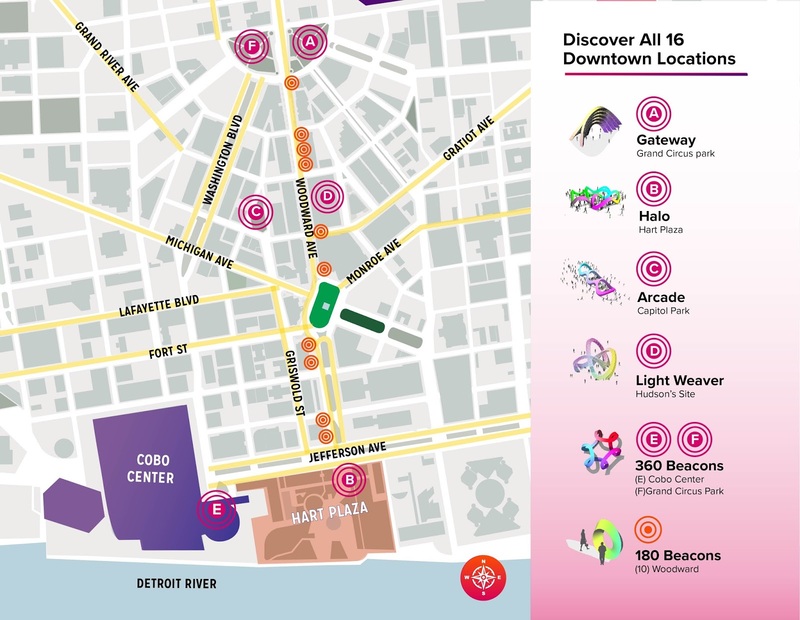 16 installations in a mixture of sizes illuminate various areas of downtown Detroit. While walking around Detroit enjoying these interactive sculptures don’t forget to stop into the businesses, restaurants, retailers and more. Grab your family, friends or significant other and head down to Detroit to explore (I parked and walked to all the installations). We are 12 days into 2017, and how many of you have already broken your new years resolutions? I’ve given up on creating resolutions, because I know that I wouldn’t last with them. Jimmie was kind enough to gift me some Mantra Bands last year that he thought would help inspire me and show me that someone believed in me (blessed, dream – believe – achieve and you are enough just to name a few). As a visual person these simple bracelets mean more to me this year than anything, and I’m taking the vision even further and created a vision board. If you have never heard of a vision board it’s something you create using pictures, words and quotes. The Bible says, ‘where there is no vision, the people will perish’ Proverbs 29:18 – makes sense, right? Creating visual goals shows your dreams for the future, and helps keep you on task, because you can visually see what you want to achieve. Decide what your goals, dreams and ambitions are, then try to find pictures, words or quotes to represent those things. Remember, this board is for you. You don’t have to impress anyone. You can add quotes, pictures, words, embellishments and more. Once you have found all your images glue or pin them to your board, and keep it in a place where you can look at it often so you’re holding yourself accountable for your visions. I am posting mine here, on Instagram and using it as the background of my phone just as a simple reminder to keep myself focused on what is important to me this year.